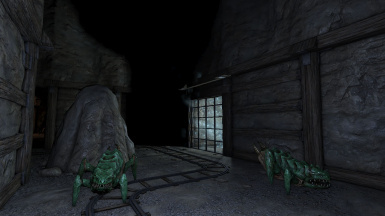 Explore the mine of Malan Vael and unravel its sinister secret. Uploaded again, old file was deleted by a script kiddie who hacked my account. Sorry for the confusion! 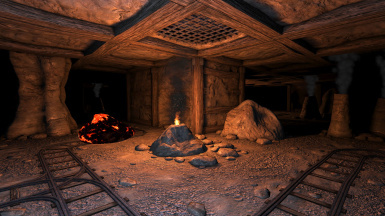 The Mine of Malan Vael is a complete Grimrock mod featuring a new tileset made from scratch. ATTENTION: If you've started a game using v1.3 of the mod, then updated to 1.4 and didn't solve the 'serve the dinner' puzzle yet you have to start over. I'm sorry for that, but for technical reasons it's not possible to solve the puzzle anymore with that 'version mix'. Since it's less than 10% of the dungeon it shouldn't be much of a problem though I hope. 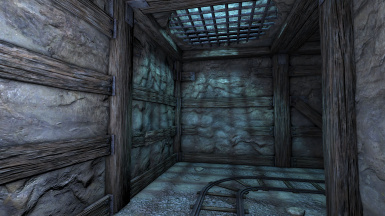 Put the .dat file into your dungeons folder (My Documents\Almost Human\Legend of Grimrock\Dungeons). 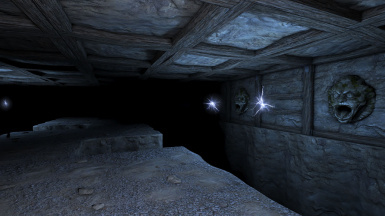 Start the game and click on 'Custom Dungeon', then select 'The Mine of Malan Vael'. This mod is complete and was extensively tested. Of course I can't promise it's 100% bug free, but it should be close (apart from some minor 'known issues', see below). There are 5 levels to explore and the average play time should be somewhere between 3 and 4 hours. 1. Secret areas are important, if you miss too many and play on normal or hard difficulty it will be very hard to survive. 2. Food is not overabundant like in the original game. Don't eat when you don't have to (eg eating a large food item to bring a character from 75% to 100% food level is not a good idea) and don't sleep when you don't have to (if just one character is seriously hurt it may be a good idea to simply use a health potion instead). 3. You will often get ambushed, so don't walk into an unexplored area without preparation. Make sure your characters are on (almost) full health and energy, get healing potions and bombs ready for use. Running away IS an option. 4. Last but not least, save often. I tried to place healing crystals in places where they make sense and help, but you can't have a healing crystal everywhere. - Ballista string doesn't move. This is because I couldn't export the weight painted model correctly. As soon as a stable, fully functional export is possible I will fix this. 2. Don't upload the source files package or the mod itself to other sites without permission. 3. 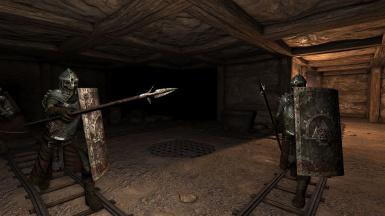 Use the assets only in Grimrock mods and don't try to sell them.